Two years ago, a mission team from First Baptist Church Marble Falls was hosting an outreach event at a soccer field in the village of Catulaca. We were approached by Luisa, Felipe’s daughter and asked to visit her house to pray for her father. Many times throughout the year we are asked to pray for people with various needs. However, there are times when God places specific people on hearts as we pray. Felipe and his family are one of these special families. Since that first prayer, we have been returning to minister to Felipe. He loves to share about the accident. About seven years ago Felipe was transporting sugar cane when his wooden cart fell on top of him. He was trapped for hours. Felipe tells us that at some point he lost conciseness and died. He said he stood before the Lord in heaven. The Lord told Felipe that he was not finished with him. When he woke up he was in the hospital, paralyzed. 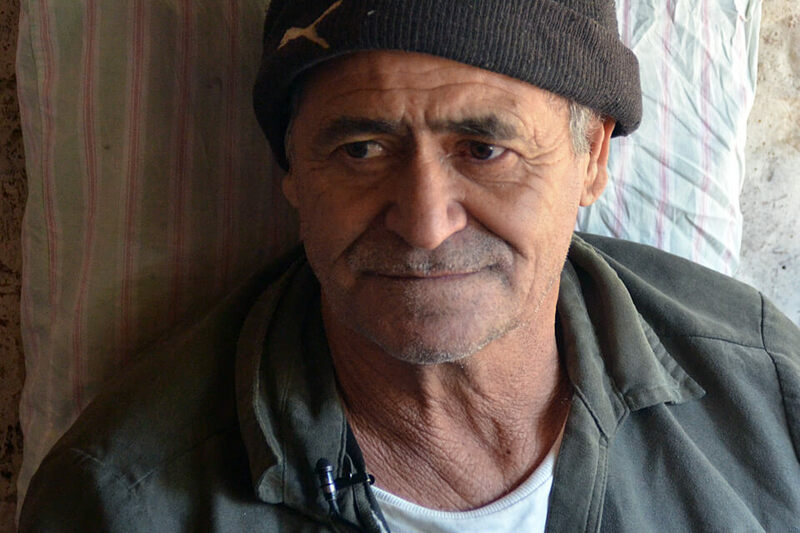 Felipe eventually returned home, but he has never walked since the accident. He has shared with us that since we began praying, feeling has returned to his legs. Each week he attends therapy and receives prayer with hope to walk again. Each week as we pass by his house on the way to the mountain, Felipe, Alejadrina, and Luisa yell and wave at us. When we stop by to visit and pray, they are always open to participate in a Bible Study.